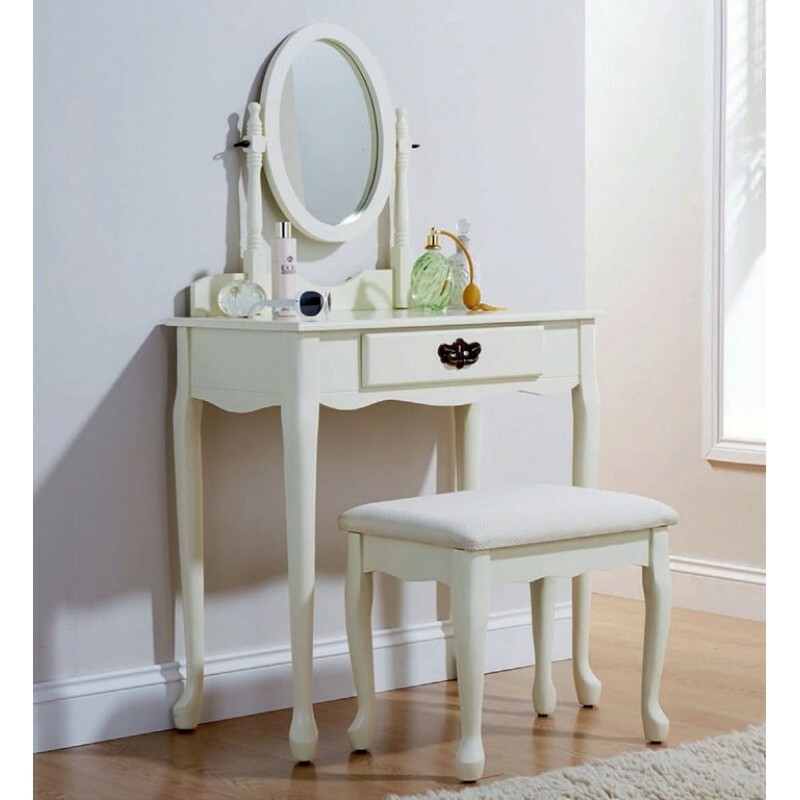 A traditional dressing table inspired by the Queen Anne design finished in an ivory painted finish. 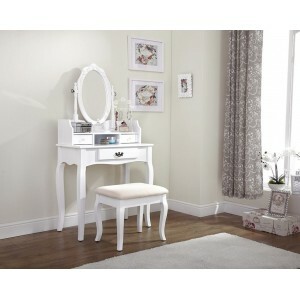 This dressing table is perfect for getting your day started in style, providing you with plenty of space to keep your make up neat and tidy. 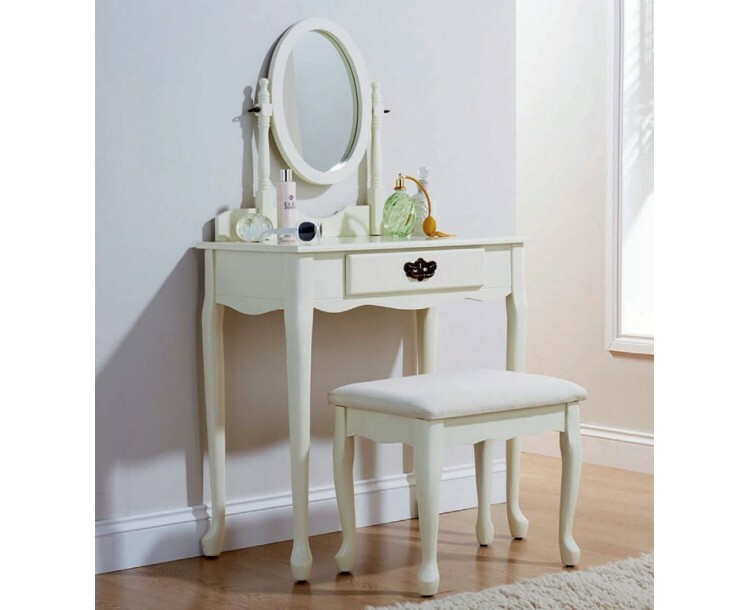 With its adjustable oval shaped built in mirror and matching padded cream stool makes the perfect addition to your bedroom and its combination of solid pine wood and MDF to give the dressing table a long lasting durability and great value for money.